Ideally, only buy as much cheese as you’re able to consume within a few days, then how you store the cheese doesn’t matter so much. However, if you do find yourself with a big chunk of cheese that will be in the refrigerator for awhile, follow the guidelines below for the best way to store cheese. If the cheese you bought is wrapped tightly in plastic wrap, remove the cheese from the wrap when you get home. If you bought cheese from a cheese shop and it's wrapped in paper, you can often just leave it in that paper for the first few days. Paper specifically for storing cheese, as well as cheese storage bags, can also be purchased from retailers like Formaticum.com. This sort of cheese paper allows cheese to breathe, without drying out. As an alternative to the refrigerator, you can buy a cheese grotto from cheesegrotto.com to store cut and whole wheels of cheese at home. The cheese grotto is a centuries-old device which protects cheese and stores it at 75% humidity, with an adjustable air flow system. It can be kept on the counter or in a refrigerator. When storing a soft, semi-soft or semi-hard cheese, wrap the cheese in cheese paper (ideal) or waxed or parchment paper (slightly less ideal). The paper allows the cheese to “breathe” meaning that the cheese is protected, but a little bit of air can still filter through the paper. Soft cheese needs to have some exposure to air so it doesn't become too moist and watery. Wrapping a soft or semi-soft cheese in plastic wrap essentially smothers the cheese, trapping moisture that will destroy the rind and the flavor of the cheese. A bell jar/cheese dome can also be used to cover soft cheese in the refrigerator. According to formaticum.com, "Cheese stored under a dome creates its own climate, ensuring proper humidity every time." If you're storing fresh cheese that doesn't have a rind, store it in an airtight container. When storing a hard cheese, trapping moisture is less of a worry. It’s more likely that the cheese will dry out too much in the refrigerator. One way to protect cheese is to use cheese paper, or wax or parchment paper, wrapping the cheese tightly then sealing it with tape. Hard cheeses that you'll eat fairly quickly do pretty well wrapped in plastic wrap, or placed in a sealed plastic bag or sealed glass container. What Temperature Should I Store Cheese? Cheese doesn’t like to be too cold. The "perfect" temperature varies depending on who you ask, but usually ranges between 40 and 53 degrees F. Most home refrigerators are colder than this. As a solution, store cheese in the produce drawer, which is usually slightly warmer than the rest of the refrigerator. If your kitchen has a cool, even temperature then it is possible to leave cheese out on the counter. However, the temperature in most kitchens, or even pantries, fluctuates too much for cheese. If you do store cheese on the counter, you'll want to cover the cheese to prevent the cheese from flies and other pests (or pets!) and from being exposed to too much air. A bell jar looks pretty, but can suffocate the cheese if the temperature gets warm, so it isn't ideal for long term storage. Instead, cloth can be draped over the cheese, or a cheese box can be used. Freezing cheese is not recommended. If you have to, then plan to use the cheese only for cooking, as the texture won’t be ideal for straight eating. When is Cheese Past its Prime? If the cheese you’re storing becomes moldy, it’s often fine to just scrape or cut off the mold and re-wrap the cheese in fresh paper or plastic. If a hard cheese has a white film on it or if the cheese is rock hard, it’s too dried out. Try scraping away the white film, as there might still be good cheese underneath. 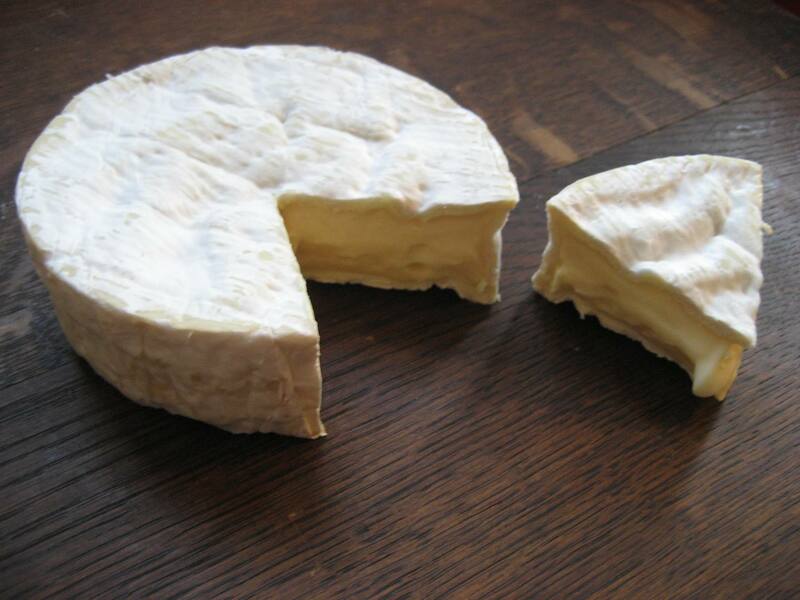 If a soft cheese has a cracked or bulging rind, it just might be past its prime. Use your nose as a guide. If the cheese has an ammonia-like aroma that makes your nose hairs tingle, it probably won’t taste good. If you have a lot of little bits of cheese in your fridge that are almost too old, then consider making fromage fort. It is a traditional French cheese spread made from several types of cheese, white wine and seasonings.